To make this happen, we worked with a great team of people at Furlined and roped in Ted Pauly to bring our idea to life. Chris Franklin and his team at Big Sky Edit did a fantastic job with the Edit, Graphics, SFX and more. 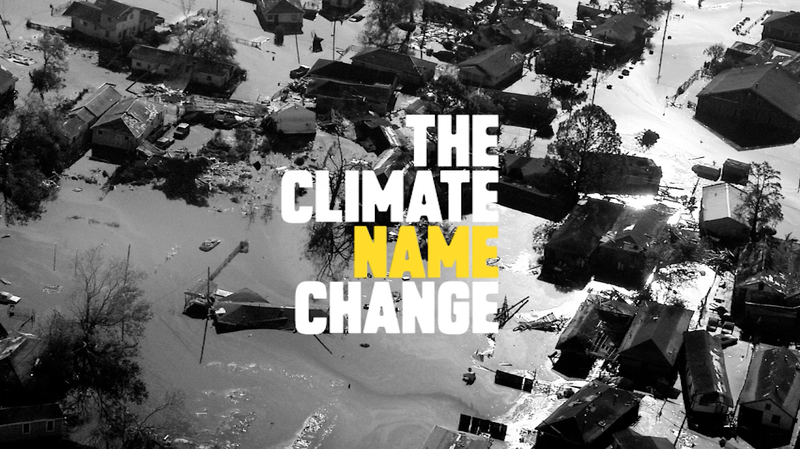 The video let to the heart of the campaign which was a petition aimed at the WMO to change the current hurricane naming system. The site also aggregated every climate change denier sitting in Congress, allowed people to view their voting record, see some choice quotes from them around the subject and tweet at them directly. We also used Facebook connect so users could warn their friends on Facebook that shared a name with a past or future hurricane. We even had a Print/OOH campaign that used Paolo Pellegrin’s iconic photography along with disruptive headlines like – “Michele Bachmann Destroys City”, “John Boehner Ravages Coast” and so on. We needed 25,000 signatures in 3 months. We got 50,000 in 3 days. This all equaled a total of 184 million earned media impressions with exactly $0 spent on media. I think that cut through the clutter. Watch the case study below to get the skinny on the full integrated campaign. And here are some of the print pieces as well – a nice partnership with the great Paolo Pellegrin.